Price includes loading unremovable data, full color doming 1 side. Delivery on Fedex tracked service £19.95. VAT extra. Great prices, 6 working day. 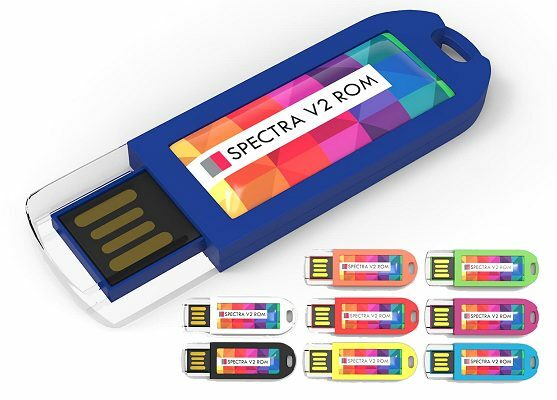 The Spectra V2 ROM has the same appearance as the Spectra V2. But ROM stands for Read Only Memory. This means the data on the USB stick can be copied but not removed or changed. The USB stick can not be used for other data. Vary the print between items. Personalise each one with an individual name, series number or barcode for an additional 50p per unit. All available in 5 full working day production +1 to 2 days delivery depending on your location. Design your own shape USB. 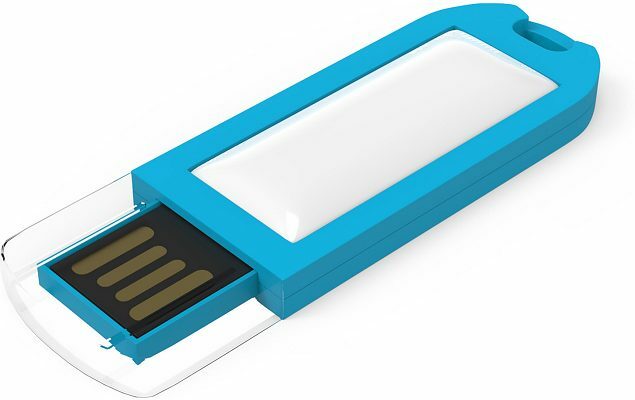 Fully Customisable 2D shaped USB in just 7 days. You provide your company logo or special shape, we create several designs, you choose and we produce within 7 working days of your approval. Simple but incredibly effective and amazing value too. Have a bit of extra cash? 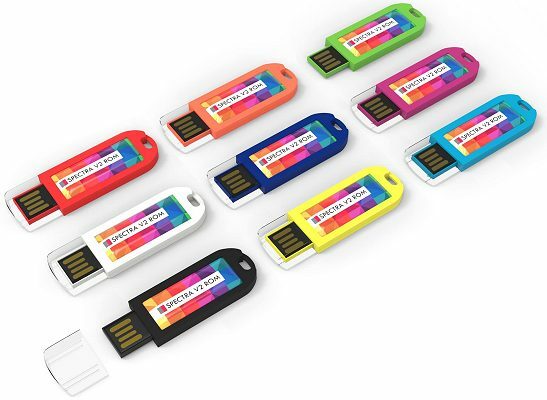 High end quality USBs - Send out the right message to your clients "We mean business". Not all USB suppliers are the same! Even though our prices are the best our USB branded memory sticks contain top quality high performance Grade A reliable chips. FREE Origination up to four spot colours. FREE pantone colour matching for 250+ pieces. FREE Double side printing up to four colour total. We offer all this included because we deal direct to save you money.